The StingRay Aqueous Bearing Washer is used to clean roller bearings for inspection, maintenance and reconditioning in many industries including: rail, aircraft, aluminum mills, steel mills and mining. The heavy duty StingRay parts washer is well equipped to handle the stresses of day in and day out washing of roller bearings of all types. Bearings and chocks are thoroughly cleaned and dried in short 15 minute cycles utilizing the industrial power wash process. 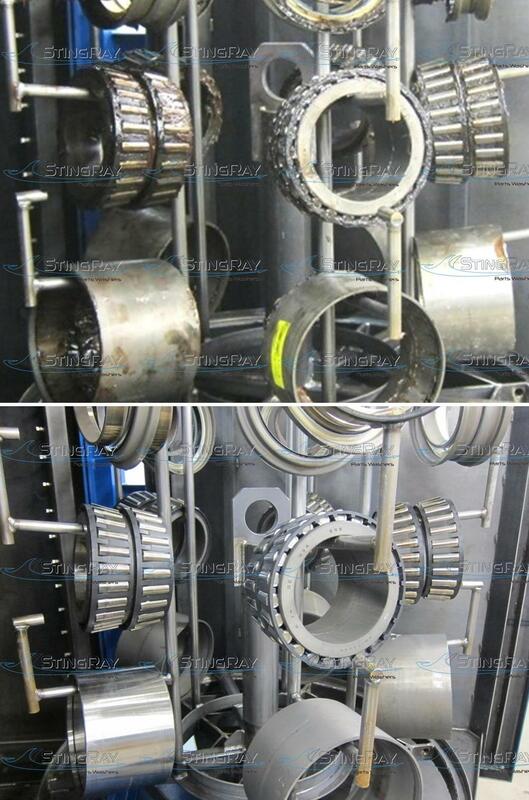 Bearing greases are easily removed even between the rollers and the cage. 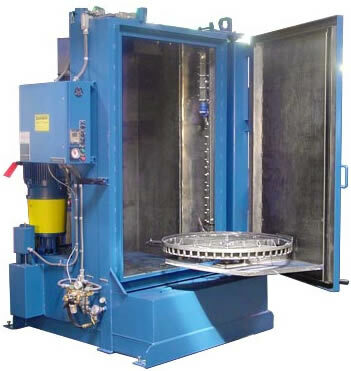 The parts washer cleaning cycle completes with a rinse of the bearings and application of rust inhibitor, preventing flash rust, common in completely clean and degreased metal components. The one step cleaning process involves loading the grease filled bearings on a fixture and then placing the bearings inside the washer cabinet. The short cleaning cycle (10 to 15 minutes) thoroughly removes all grease, grit and grime with heat, water, and detergent utilizing the power wash process. The roller bearings flash dry in less than 2 minutes and are ready for inspection. Standards for bearing cleaning such as the AAR Technical Standards for railroad bearings are consistently met. A StingRay SR6075 parts washer cleans and degreases over 800 rail bearings in an 8 hours shift. The StingRay SR4063 produces over 400 clean bearings per shift. Slinging or pre-scraping heavy grease deposits is not required to achieve clean bearings. StingRay aqueous bearing washers handle the enormous amount of waste grease with a sludge/surface scraper system and oil skimmer. These solution management systems extend solution life and reduce clean outs. 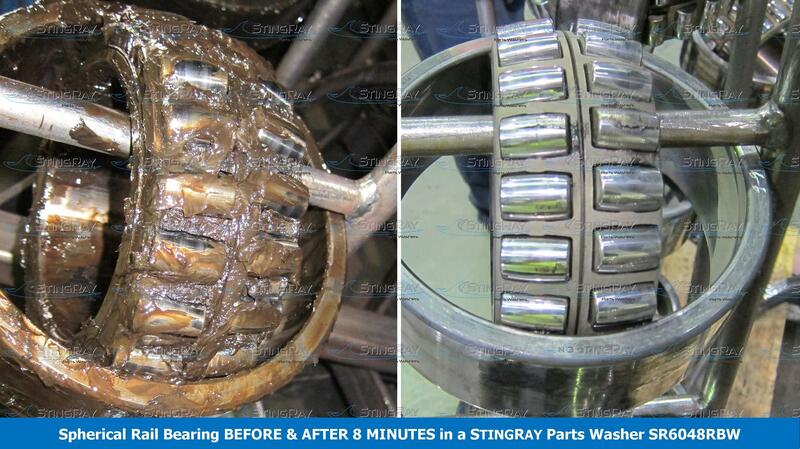 Rail Bearings: Before and After Cleaning Results in a StingRay Parts Washer. "Click image for larger view." Rail Bearing Cleaning Video. "Click to view."